I have now made 21 clay figures, still intending about 30 but it gets more difficult to vary the poses without breaking right out of the format so far established. 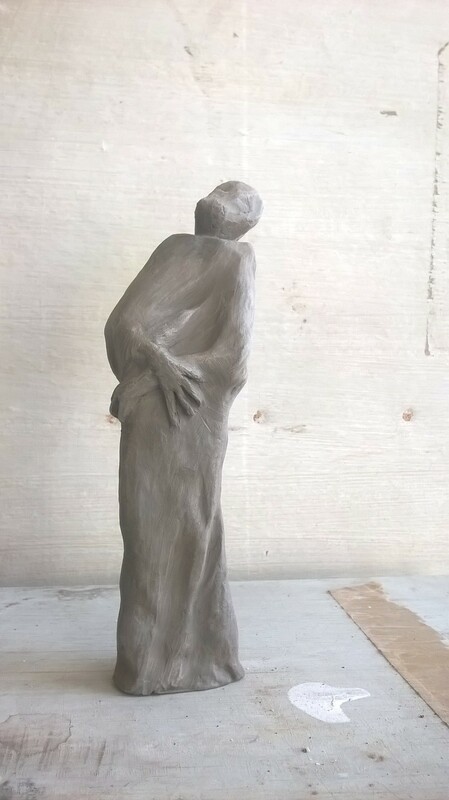 This photo shows three stages in the making – one figure is just finished, several are dried and waiting for firing, while the ones that have been fired are obvious from the colour change. This yellowish stoneware finish is not what I expected – they were fired at a higher temperature than anything I’ve previously made with this clay – but it gives them a characteristic of age which is in keeping with my sense of who they might be or represent. So I’m thinking maybe they don’t need colour, and I should plan a second sequence where I can experiment more with surface finish. That suggests they could be a bit larger and possibly made by wire and plaster construction rather than direct modelling, though modelling in plaster is also an option. 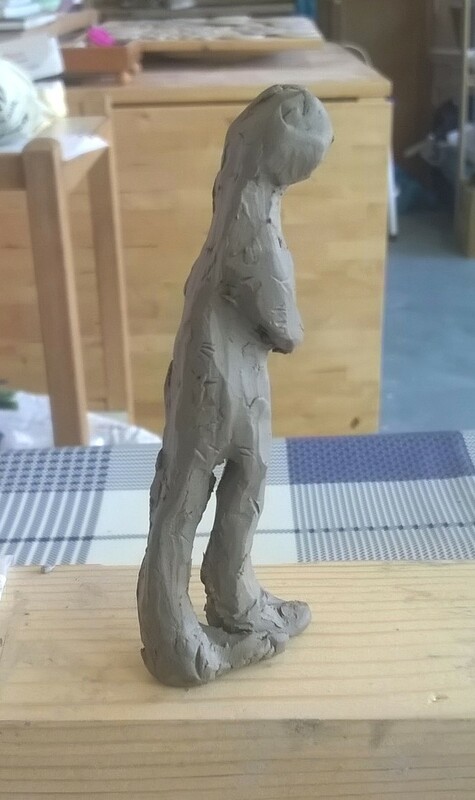 Following my preference for the small informal clay figure shown in the last post, I have been making more of them similarly, modelling the shapes quite roughly and allowing textures to occur naturally over the surface, just by the movements of my fingers and basic tools. Every pose is slightly different, I am aiming for about 30 of these which will then be given colour treatments.